These three people seem to have provided a home for Jesus and his disciples when he was in Jerusalem. Scholars suggest they were about the same age as Jesus, or younger. Martha and Mary were two young women living close to Jerusalem. They admired Jesus and were close friends – when Jesus came to Jerusalem he stayed with them. Apart from that we know little about them: they seem to have been independent, without parents in the picture; they must have been financially comfortable, since they had a house large enough to cater for a fairly big group of people, and were also able to pay for expensive perfume to anoint Jesus. None of the three seems to have been married, which was unusual in Jewish society at the time. Were they on the outer socially? And if so, for what reason? We can only guess. But all in all they seem to have been independent, well-off, and intelligent. On one of Jesus’ visits, Martha got annoyed by the unequal share of housework she had to do while Mary, who should have been sharing the load, sat listening to Jesus talk. 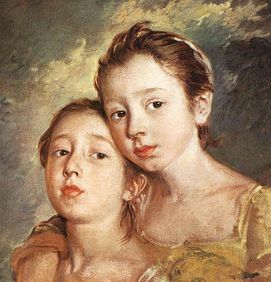 What’s the odds that Martha was the older sister in this story – responsible, a little bossy, the sensible one, and Mary was the younger of the two – charming, lovable, unworried by practicalities? Martha complained to Jesus, but he seemed unconcerned, taking Mary’s side. Don’t worry so much about small things, he said – concentrate on what is important. Mary has chosen the better way. 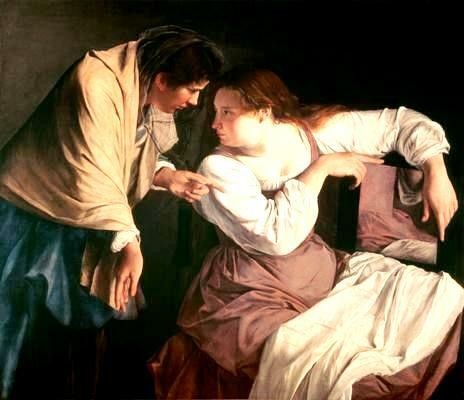 The brother of Martha and Mary was Lazarus, who seems to have been sickly or had some severe illness. 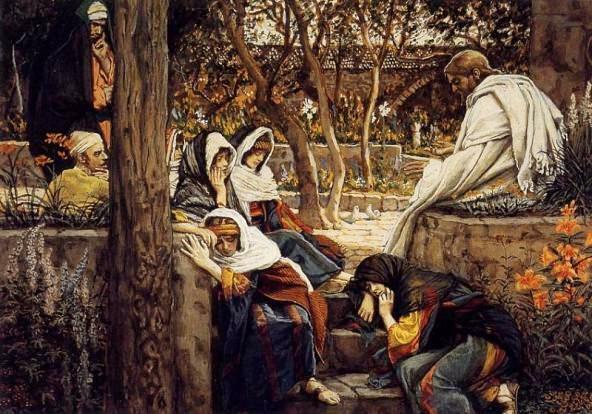 Once, when Jesus was absent, Lazarus became gravely ill.
Then he got worse, and the two women sent for Jesus. Come and cure our brother, they begged. Jesus received the message, but he put off coming for two days. 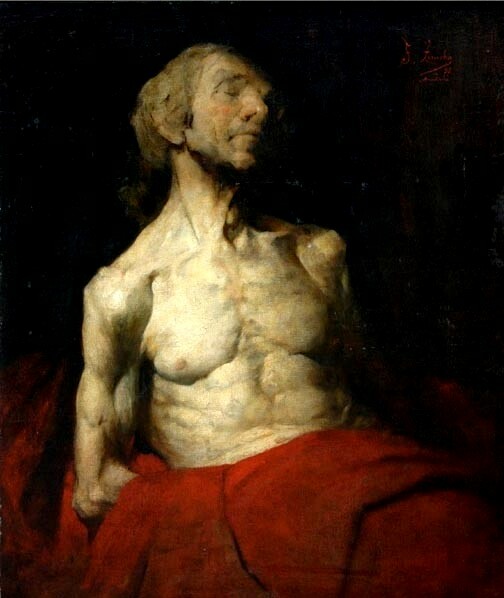 In the meantime, Lazarus died of his illness. When Jesus eventually arrived Martha rushed out to meet him. She reproached him bitterly – if you’d only come sooner, he wouldn’t have died, she said. Then in a flash of intuition she called him something extraordinary: the Messiah, Son of God. These are the very words Peter would later use to describe Jesus. Was Martha the first person to express this thought? When she had finished speaking she ran back to fetch Mary, who came out of the house distraught. Jesus was deeply affected by her grief, and asked to be taken to Lazarus’ tomb. They led him there, then Jesus told them to pull away the great stone that sealed the entrance. 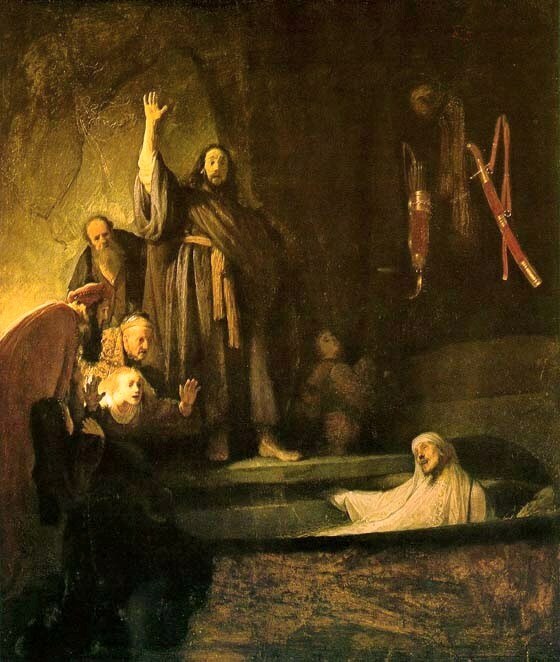 They were loathe to do this since Lazarus’ body would have begun to rot – they could smell the stench of decomposing flesh coming out of the tomb. 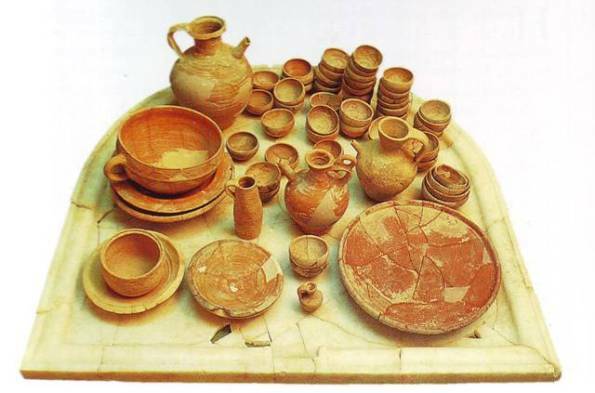 There is a third story involving Martha, Mary and Lazarus, when they give a final dinner for Jesus. It was the week before his death, but none of them knew what lay in store for Jesus. They were aware he was in danger, and no doubt they tried to keep him from going into Jerusalem where he was in most danger. It was the custom when guests arrived for dinner to give them a refreshing foot bath. Then they either sat at a table, or lay propped up on couches surrounding a central food table. Martha served the food to her guests. 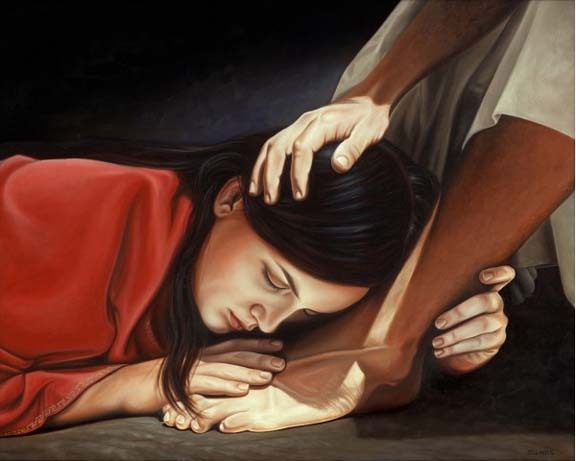 During the dinner, Mary took some vastly expensive perfume and smoothed it over Jesus’ feet, then wiped his feet with her long hair. One of Jesus’ friends, Judas Iscariot, objected to the waste of money, but Jesus again sided with Mary, defending her action. He knew he was in great danger, and that the path he meant to take might end in a terrible death. Being fully human he could not see into the future, but he knew the probable consequences of what he planned. She offered her gift as a comfort and a reassurance to him, and perhaps as something more. She believed he was the Messiah, and she used the nard as anointing oil. In her own way, she anointed a king in readiness for what lay ahead.